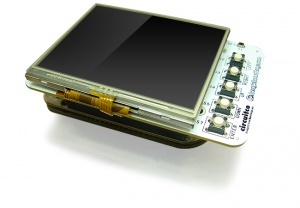 The BeagleBone LCD3 Cape provides a portable LCD solution with touchscreen capability for BeagleBone boards. The 3.5" TFT LCD screen, attached to the topside of the board, can display up to a resolution of 320x240 and is a 4-wire resistive touchscreen. The board is equipped with seven switches located at finger-friendly positions. 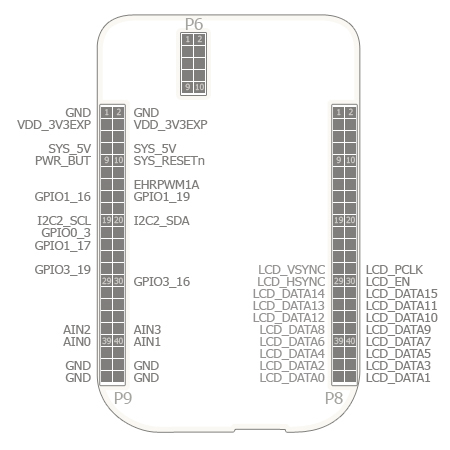 These switches include power, reset, and five user switches, which are mapped to different GPIO signals. The backside of the cape is where a BeagleBone can be mounted. This page was last edited on 4 November 2013, at 19:34.